If you feel like too much of your gums show when you smile, it can make you self-conscious and less likely to smile in public or even with family and friends. Any condition that prevents you from smiling naturally may lower self-confidence. And if you’re reluctant to share your smile, it can affect first impressions when dating or looking for a new job. Being unwilling to smile is often worse than any actual problems with your smile in these cases. Fortunately, there are many solutions to makeover your smile, including a gummy smile, offered by Columbus, Ohio cosmetic dentist, Dr. Michael Firouzian. Regardless of how much gum tissue there is, if you are unhappy with the amount of gum showing when you smile, then you have the right to have it corrected. Often, multiple causes contribute to your gummy smile. In this case, multiple procedures might be recommended for maximum improvement of your smile. With abnormal or delayed tooth eruptions, your teeth may look comparatively small in relation to the surrounding gums. If your teeth really are small, then Dr. Firouzian might recommend building them up with porcelain veneers. If your teeth are normal sized, but your gum tissue is excessive, then laser surgery may be the answer to reduce the gum line. With hyperactive lip problems, a minor surgical procedure may be used to reduce the excessive exposure of your gums line. 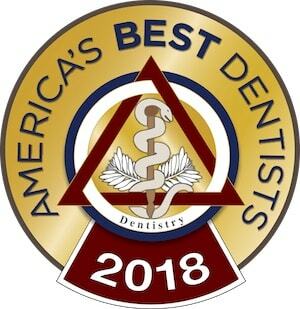 Since everybody’s mouth is different, one or all of these treatment options may be necessary to provide you with the winning smile you have always wanted. For more solutions for a gummy smile, please contact Columbus, Ohio cosmetic dentist Dr. Michael Firouzian to schedule an initial consultation.